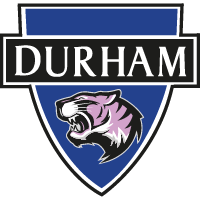 Durham Women FC can confirm that Annabel Johnson will depart the club at the end of the season. Johnson joined the Wildcats in 2016 and quickly became a key member of the squad as she made the left-back spot her own. Popular with fans and teammates alike, Johnson was also part of the Team Durham squad that won back-to-back national championships as the full-back benefitted from our Masters Scholarship Programme. But now, Johnson will return home and will leave the club following Sunday’s visit to Watford. 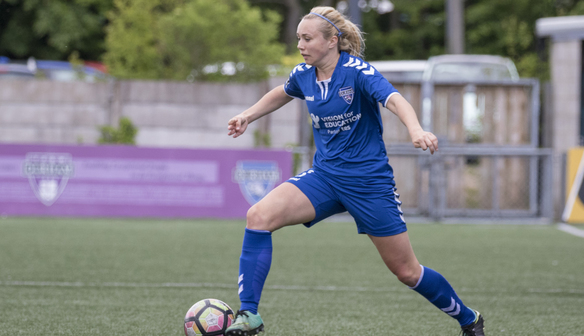 Speaking after making her decision, Johnson said: “I've had a fantastic two years at Durham and I've thoroughly enjoyed getting the opportunity to play football at such a wonderful club. "The fans are a particular highlight of mine here, and I've really enjoyed getting to know them and playing in front of such a good crowd. "I would like to thank all of the girls for making me feel welcome when I first came and I've made some great friends here. "I'd also like to thank Lee, Dawn, Mark and the other members of staff that work tirelessly to run a successful club. "I don't have any immediate plans set it stone but Im moving back south closer to home, the aim is to continue playing football and I should also probably look into finally starting a career!" Manager Lee Sanders added: “I recruited Annabel as a player for our Scholarship scheme with Durham University and identified her as someone with great athleticism and leadership qualities. "She's never let us down and has been a key part of both the WSL and University programmes since she joined the club. "She's been a virtual ever-present for us and is a great example of what this programme can offer players. "She goes away with an excellent Masters Degree and we'll be sad to see her go, not just as a player but as a person also. "She's given everything to me and to the club and she'll be an excellent asset for whichever club she ends up at next. "She's contributed a great deal and is an extremely popular member of the team and everyone at Durham would like to wish her well for the future."